There are many layers to describe the character of Sergeant First Class Tasha Q. Israel. She was born on the Island of Jamaica, raised by a farmer and a mother that instilled Higher Education as the way to achieve greatness upon their eventual move to Queens, New York. SFC Israel was the only daughter and grew up beside five brothers who excelled well in school with the same parental support. As she began studying in college, she learned it was quite costly to finish. Readiness to join an elite Army with more than seventy percent male soldiers was not intimidating to say the least and it meant that the Montgomery GI Bill could provide the education funding she needed to earn her degrees and the Army made her travel dreams to explore the world possible when she began serving. 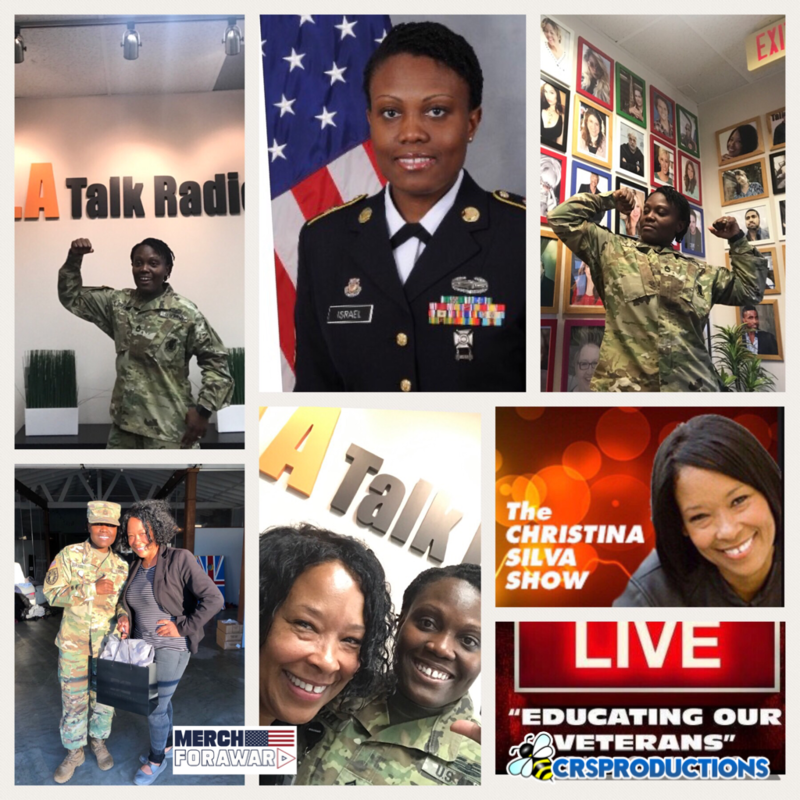 At heart, she knew her purpose by age 11 was to inspire the world by guiding others with the motto: “Failure is not an option.” This belief is filled with utmost integrity while it is truly ingrained in Tasha’s leadership style during more than 13 years of honorable service in the United States Army. 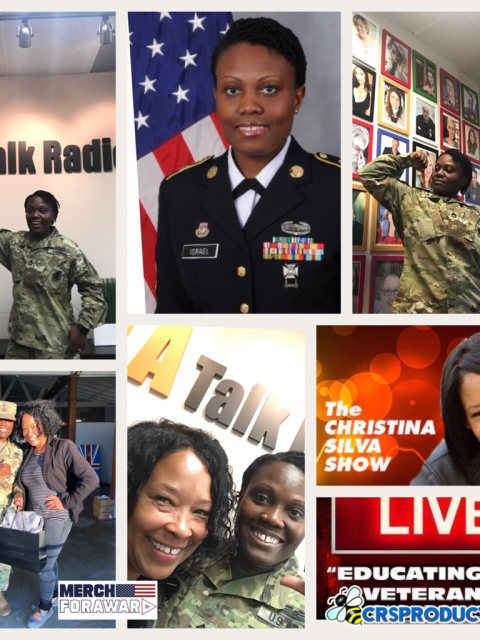 Tasha shares her experiences from basic training as a 91D Engineer to her time spent in Iraq and is grateful to her male and female mentors; the strong leaders that have shaped her career and well-rounded maturity to date. SFC Israel talks about the most difficult elements of her recent permanent change of station from Florida to sunny Southern California where she is currently serving as a Military Entrance Processing Station Guidance Counselor that aides to ensure new recruits are aware of the opportunities the Army has to offer. She speaks first hand to assure recruits of vast experiences and the plenteous benefits an enlistment means to their bright futures. 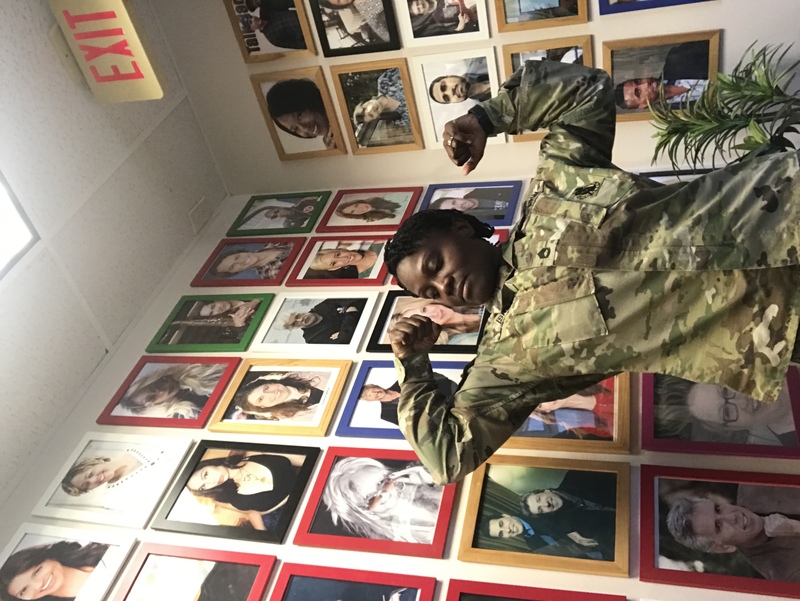 The US Army training builds character over time and she remembers how much she grew in just six months of training herself when she reflects. SFC Israel is honored admit how much the Army means to her and is grateful for the full development of her talents. 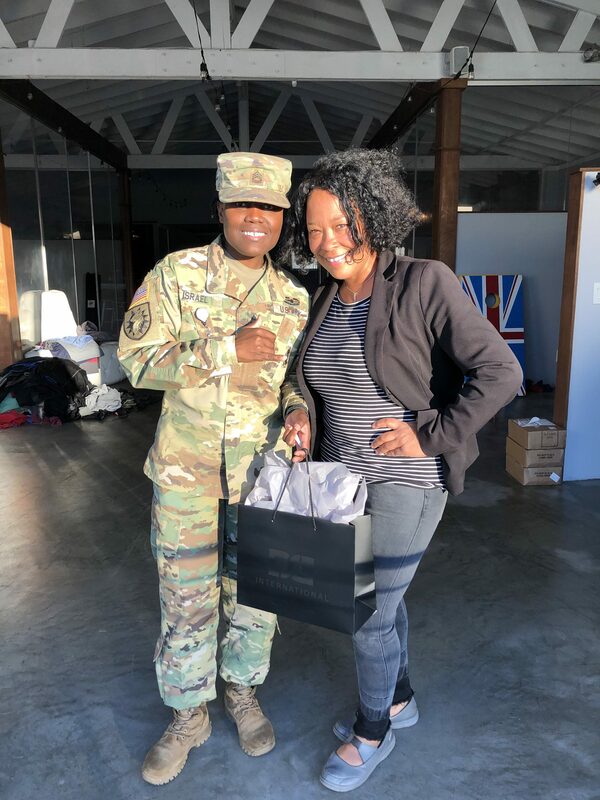 Being selected to lead as a Female Engagement Team member of the 6th Recruiting Brigade, at Los Angeles Recruiting Battalion is an outstanding addition to my duties that is filled with expectations of outside the box fortitude and etiquette. When asked about the meaning of Army uniform excellence, she told a story about her encounter with “edge dressing”. SFC Israel said when she is done applying the shining liquid to her dress shoes, she can see her own smile in those very shoes. 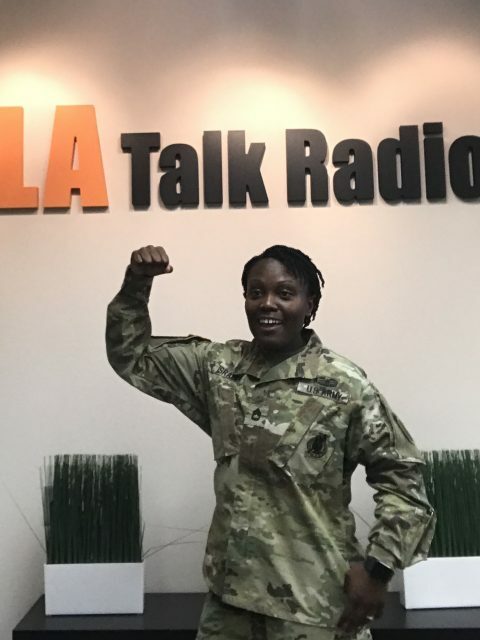 As a female soldier on a more serious note, SFC Israel commented that she is most concerned about resiliency, physical fitness and aspires to birth her own charity. Her voluntarism efforts will concentrated on relieving the epidemic of obesity and she also desires to create a platform that will yield consistent mentorship to others that want to change their lives physically, mentally, and emotionally. For SFC Israel, it is an additional duty she welcomes as a FET leader, for to be able to help more female soldiers discover their femininity, individuality and continued courage is to see that they exceed their dreams. Her selfless service is the ultimate trait she certainly does share with empathy. SFC Israel stresses the importance of the Army voice in LA and globally that is needed to expose the expansive qualities the Army produces out of each Soldier equally. Moreover, SFC Israel is glad to be a part of the mission led by Lieutenant Colonel Flood and Command Sergeant Major Neuelles’ of the Los Angeles Recruiting Battalion in their new movement to breed a spirit of equality coupled with the promotion, training, recognition, appreciation and engagement both female and male soldiers need to complete global missions at hand. 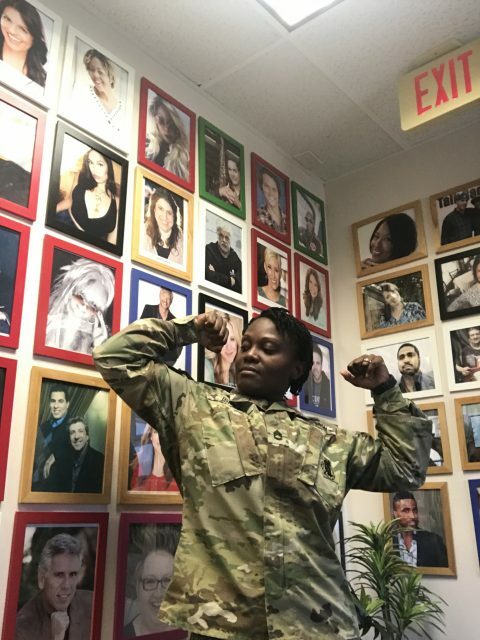 SFC Israel salutes her new Brigade and thanks her past Brigade for allowing her to be a part of Army opportunities to reach her professional and personal goals in this age of service knowing the high calling the Army brand requires in public representation. SFC Israel is a reflection of the US Army Core Values of courage, integrity and discipline every day with her trusting style of mentorship that she was born to give. A special quote inspired all of the listeners on The Christina Silva Show live internet broadcast on LA Talk Radio, Wednesday, November 14, 2018. SFC Israels motivated her comrades as she exclaimed, “Failure is not an option” and “I am a woman in the Army, in the United States of America, where there is no ceiling….so I am appreciative of my home and my Army because I can become whomever I want to be!” SFC Israel desires to take part in healthy fitness competitions and to become an officer of the Army someday because she has already served as a US Army Reservist and is now enjoying an active duty tour by the ocean in Los Angeles no less. When she met her goal in her previous duty, she enjoyed making bonds with her Recruiting Station as they met their goals and accomplished many missions. Now, she enjoys serving in the Color Guard and is proud to accept and honor of being recognized by the LA Chargers in their upcoming game. Setting goals is the key to SFC Israel’s promise to herself of reaching heights within the greatness of the Army platform. One of her greatest aspirations is to make her mother, her mentorship buddies and upper leadership even more proud as this is the furthest from her home town she has been stationed. Thank you for your service SFC Israel. We have everything to be grateful for knowing members like yourself serve this fine Nation. May God bless America. 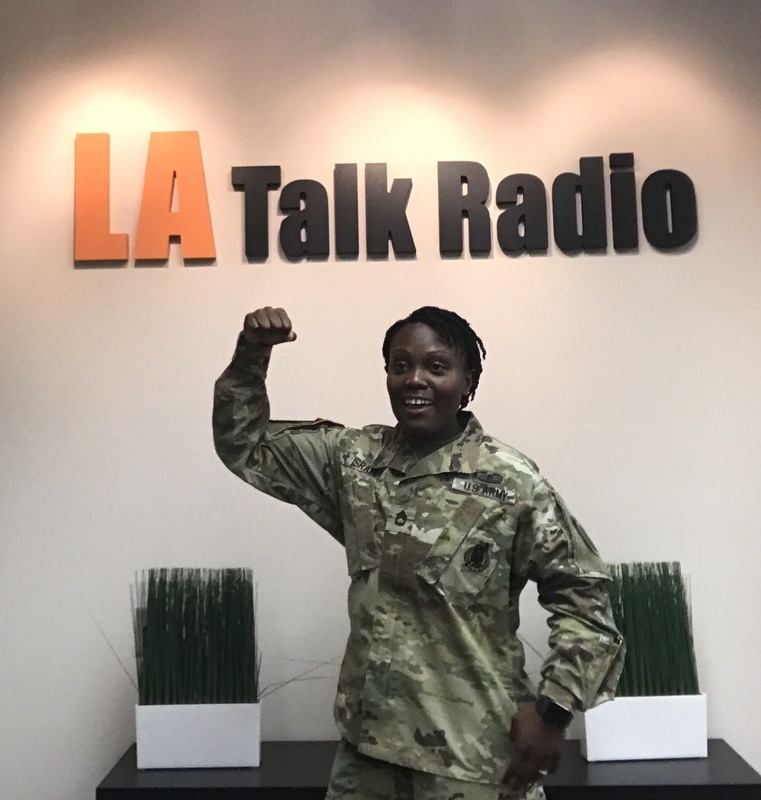 Tune in to hear the voice of female soldier greatness with your host and US Marine Corps Veteran, Christina R. Silva and US Army Soldier, SFC Israel and choose to learn more about your own potential opportunities to grow in a career within the United States military at www.GOArmy.com.